This one-stop resource is tailor-made for all those involved in the modern agricultural practices and interested in the industrial production, effectiveness and application of agrochemicals. 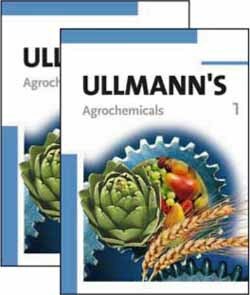 Based on the latest online edition of Ullmann's Encyclopedia of Industrial Chemistry and containing articles never before seen in print, this ready reference meets the need for a detailed survey of the fundamentals, industrial processes, effectiveness and the applications of agrochemicals as well as the environmental and toxicological aspects. Readers benefit from the rigorous and cross-indexed nature of the parent reference, and will find both broad introductory information and details of significance to industrial and academic environments.